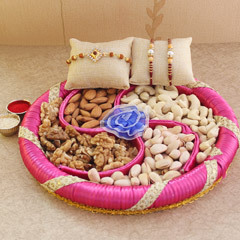 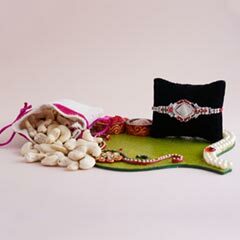 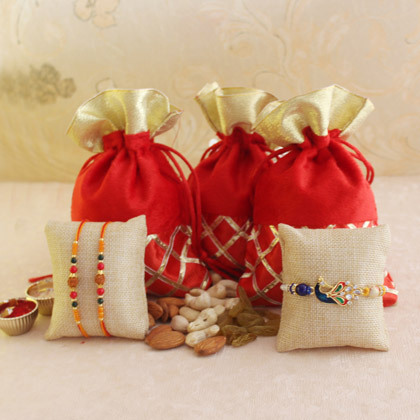 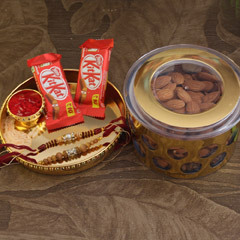 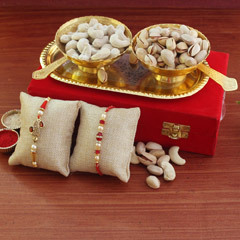 Perpetuate that sweetness in your relationship that you share with your brother, by gifting him this inclusive combo of 2 beautiful rudraksha Rakhis, and dry fruits. 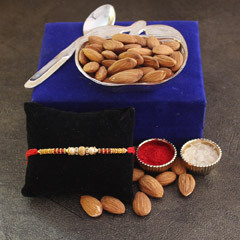 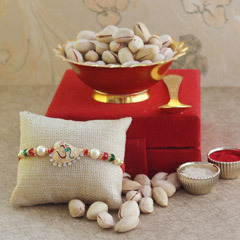 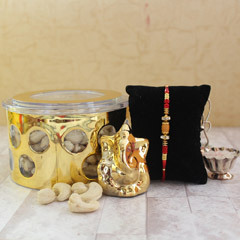 This gift will without any doubt serve as a way of bringing that special charm in any brother-sister relationship. 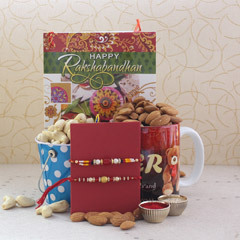 So, choose this gift and make memories that you can always rejoice.